If you’re like me, your contact database may give you a bit of anxiety — thousands of unorganized, yet precious contacts that your sales team so impatiently awaits. They want leads, and you want results, too. Oftentimes, though, if marketers aren’t seeing results from their tactics, they’re apt to remove inactive contacts from their databases. They might even eliminate those who’ve failed to engage with recent content offers, blogs, emails, and whatever else you’re using to generate interest in your brand, products, or services. If that’s you, step away. Take a deep breath. And reconsider. Because it’s not time to delete your contacts. It’s time to optimize your database for success. Here are some best practices for you to consider when looking to improve your lead nurturing and progression process. To get the most out of your contacts (or anyone your company engages with in any way), it’s important that they’re segmented into smaller categories based on their similarities. This ensures that you’re sending the right information to the right person or group of people at the perfect time. 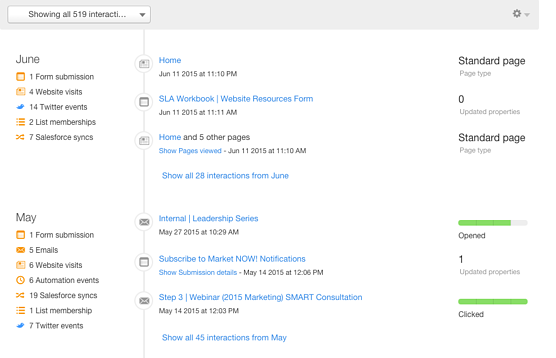 It also allows you to create smarter, personalized content based on previous actions and contact information. Failing to make adjustments over time will lead to higher contact churn (unsubscribes) and lower engagement. Conversely, the data shows that an optimized contact list will lead to an increase in the number of qualified leads, email open and click-through rates, and more. What inbound prospects are telling us within form submissions is just the tip of the iceberg. Sure, we can create lists based on location, job title, and company sizes, but prospects are so much more than just those demographic points to learn. These properties provide you and your sales team with an in-depth story on each particular contact. That story can help you tailor future content for higher engagement and more hands-free automation. For starters, to eliminate any surprises, embarrassment, or wasted time, it’s important that you include all of your employees, vendors, partners, and customers in your contact database. By grouping these contacts into appropriate lists, you’ll eliminate the chances of one of your sales reps contacting a revered business partner and pitching products and services they’re selling themselves. You can also help your sales team by determining which qualifications best meet the criteria for MQLs and SQLs, such as certain job titles, location, or content engagement (i.e., number of middle of the funnel form submissions). You can take that a step further and create custom contact properties in HubSpot based on unique criteria your team is looking for. Your reps likely have “green lights” and “red flags” when considering whether it’s worth their while to engage with a particular prospect. Perhaps the three most important but overlooked internal tools used to segment your database are Buyer Personas, Lifecycle Stages, and Lead Scoring. One of the very first steps to a successful inbound marketing campaign is the creation of Buyer Personas. If you’ve yet to create fictional representations of your most ideal customers, stop what you’re doing and get to it. Assuming you have your personas in place already, they’re a great starting point for creating lists based on the combination of job title, challenges, pain points, location, and other information about your ideal buyer. Tip: If you’re a HubSpot user, take advantage of the Personas area of your Dashboard and begin tracking for their behaviors and preferences on your site. It’s important to customize your contacts in their stages of the buyer’s journey based on your company’s preferences. HubSpot calls these stages “Lifecycle Stages”, which are Subscriber, Lead, Marketing Qualified Lead, Sales Qualified Lead, Opportunity, Customer, and Evangelist. You can create custom contact properties to help your company label its contacts in the appropriate stages of the buyer’s journey, using its own verbiage. By segmenting based on Lifecycle Stage, you’ll be able to deliver the right type of content to those in the consideration stage as opposed to those who are already paying customers. With that said, there’s often a diversion between sales and marketing with respect to what distinguishes, for instance, an MQL versus an SQL. It’s important that both parties are aware of each contact and where that individual currently stands in the buyer’s journey. You may even recognize that your business needs to agree on a Service Level Agreement (SLA). 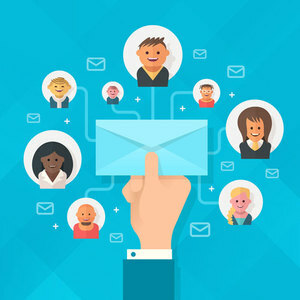 A good way to make sure both sales and marketing are on the same page is to create internal workflows that trigger reminders for the sales team to create a healthy dialogue about each contact that makes its way to a rep.
By keeping this data flowing back and forth between the teams, you’re ensuring contact is up to date in your database and that they’re receiving the right messaging from your marketing team. Lead scoring is another facet of your marketing that begins with a strong sales and marketing alignment. By understanding the unique qualities your sales team is on the lookout for, you can create custom scoring to provide values to certain actions, properties, metrics, and other factors. Tell us how you segment your contact database with lists in the comments below and on social media, and be sure to add any other creative ways you’ve optimized your contacts for success! Get a jump start on creating a Service Level Agreement for your organization with our handy Marketing & Sales Alignment Worksheet.